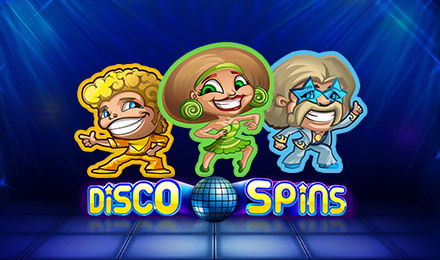 Get ready to dance and win big when you play Disco Spins Slots, one of the top UK online slot games. There are loads of rewarding bonuses, loads of fun and loads of chances to win! Put on your dancing shoes and get ready for the hottest party around! Disco Spins Slots has up to 8 Wilds that appear when the Disco Dancers are the same colour as their floor tile. There are also Scatter symbols, which will trigger your FREE spins, and multiplied wins, meaning there are loads of chances to win and some high payouts! You can play at home or on all your mobile devices so you'll never miss a win. So polish off your dance moves and spin to win today!